Want to have a Fun Rewarding Summer– Join Club SciKidz? Club SciKidz’s commitment to providing world class science enrichment opportunities for children ages K-15, can only be met by recruiting the best employees. As a member of our company, you will become a part of the Club SciKidz family. Our mission is to create an environment that teaches and nurtures the children under our care. We believe that all children are scientists and that our professional staff can make them better scientists! The bottom line is that our summer camps and school programs are only as good as our personnel. We are extremely selective and we are always looking for the top talent across the country. Do you have what it takes to join one of the most exciting children’s science companies in the country? If so, take a look at some of the job descriptions below! This year 14 and 15 year olds have the opportunity to participate in our brand new C.I.T. program. This four-week long volunteer program gives teenagers the opportunity to assist in our camps. They will be learning about our programs, gaining experience working with children, and learning basic job etiquette skills. The goal of the program is that when they are 16 years old, they can be hired as a Club SciKidz junior counselor. This program also allows them to build their resume and volunteerism, and some schools accept this volunteer opportunity as learning service hours*. (Check with your individual school to see if hours from for-profit organizations count). The benchmark of a successful summer camp experience and what a child remembers most about their camp experience is usually the camp’s staff members. Club SciKidz’s summer camps provide an exciting and safe atmosphere for children, while exploring the world of science and technology. All of our camps take the job of teaching and caring for children seriously! NOTE: If you do not exhibit these characteristics, then Camp Staff is not for you! Our camp day is filled with many science activities and our classrooms are normally sold out! Our camper to staff ratio is 10/12:1. 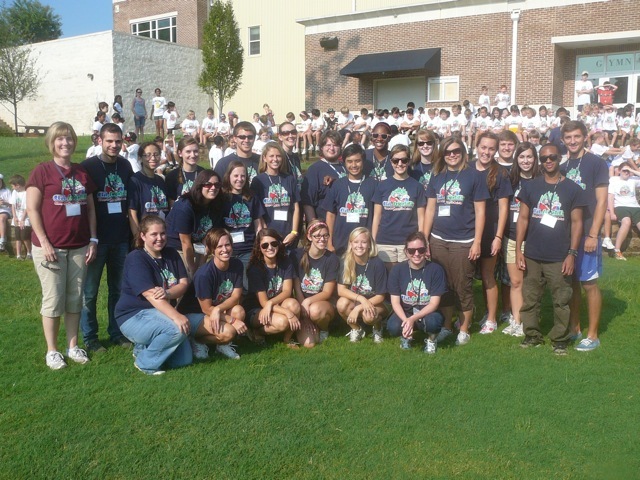 Our Camp Directors are responsible for the day-to-day management and operation of the Day Camp Site. This includes the supervision of all lead teachers, camp counselors, junior counselors and campers. Director candidates must meet the criteria listed above while having experience in leadership and risk management. Camp Directors will be accountable for following Club SciKidz’s guidelines for operation as well as respecting and protecting the Club SciKidz brand. Camp Directors will report directly to the owner of Club SciKidz. This is a great job for teachers looking for a fun summer job! All Candidates must have a college degree, submit to a background check, and be able to commit to the multiple week camp programs at the location you have been assigned. We aim to form teams at each campsite to make each location a personalized and fun experience! Candidates must (no exceptions) attend our paid training session! Our head teachers must be a certified teacher or be recent graduate with a teaching degree. For our technology camps, head teachers must have expertise in computer programming or actively pursuing a technology or engineering degree. Our goal each year is to recruit the best possible teachers. We will implement a four-step process to help us reach our goal of hiring head teachers that will not only demonstrate a love for children, but will protect our respected Club SciKidz brand. Head teachers will be role models for our campers and will take this job seriously by providing a positive and friendly interaction with the campers in an environment that allows the campers to feel safe, comfortable and excited about the task at hand. Therefore, head teachers must meet the criteria listed above in addition to being highly energetic and enjoy the camp experience! This is perfect for teachers looking to have a fun summer job focusing on sharing their passion for learning with campers. This is also a perfect opportunity for recent graduates to receive an experience similar to working full time in a classroom setting. Our Camp Counselors must have completed one year of college, successfully, and be enrolled for the following fall semester. 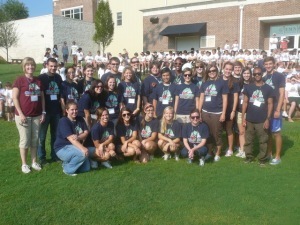 Our goal each year is to recruit the best possible Camp Counselors from college campuses all over the country. We will implement a four-step process to help us reach our goal of hiring camp counselors that will not only demonstrate a love for children, but will protect our respected Club SciKidz brand. Camp Counselors will be role models for our campers and will take this job seriously by providing a positive and friendly interaction with campers while getting them excited about the task at hand. Therefore, Camp Counselors (along with meeting the criteria listed above) must be highly energetic and demonstrate that they too are enjoying the camp experience! This is a perfect job for college students looking for a fun summer job! We do not require a specific degree for Camp Counselors- we want people who strive to provide a great camp experience for children! This is the perfect opportunity for high school students entering their junior/senior year or graduates entering their freshman year of college to gain experience with children and teaching. As a junior counselor you are expected to protect and respect the Club SciKidz brand. Junior counselors will be role models for our campers and will take this job seriously by providing a positive and friendly interaction with campers while getting them about the task at hand. Club SciKidz has an extensive after school program during the school year. After school instructors are responsible for delivering our Science and Technology enrichment programs to children in grades K-5th. The ideal candidates will posess a college education and have experience and a love for working with children. Our enrichment programs operate Monday through Friday directly after the school day ends. In science, students complete a hands-on project that they can take with them. In the LEGO Robotics class, students work on completing a series of robotic projects and end with a robot project that they can demonstrate to their parents on the last day of class. Instructors teach one session at a different school each day. All candidates must provide references, have a background check, and complete a two day training program. This is an ideal job for college students, stay at home moms and dads, and retirees.